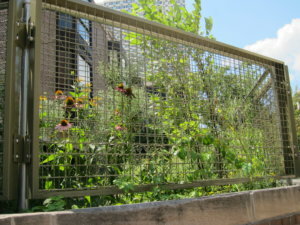 Wire mesh is an extremely popular choice for infill panels and railings applications. 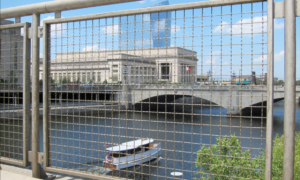 When properly framed and installed, wire mesh infill panels serve as a protective barrier in high traffic areas, like jogging paths, zoos, stadiums, recreational parks, college institutions, amusement parks, restaurants, bars and even residential patios and decks. 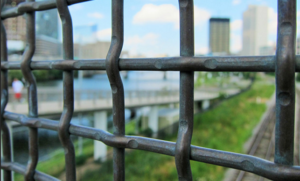 Engineers and designers often specify wire mesh because it offers an excellent combination of visibility and safety. 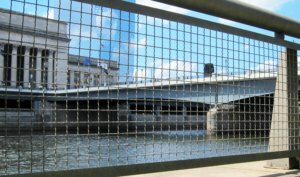 Selecting the appropriate material is critical when deciding to use wire mesh for infill panels – stainless steels, plain steel and galvanized are very popular. Other metals and alloys, such as copper and its alloys, are sometimes used to create an upscale look, particularly in high-end restaurants or residences. Previous Post: Previous post: World Series and Wire Mesh!